to bring the show and the brands to every corner of the country. Venues are chosen for their beauty, interesting history, gardens and ambience, as well as their geographical location. The objective is to provide you with an enjoyable and relaxing environment, as well as the opportunity to view lovely interiors products and services in a sympathetic setting. Winner of Premiere Vision’s Imagination Prize for the most original fabric decorations, techniques, finishing, innovation and technology, this British mill is one of the largest suppliers of silk, selling to top designers worldwide. 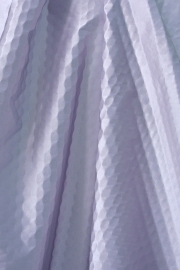 Many plain silk structures with basic finishes are in-stock items. The Daniel Henry collection, a collaborative effort with French textile designer Henry Portier, offers unique novelties such as bonded silk cotton with a paper touch, and a transparent printing technique that transforms the look and drape of items such as silk charmeuse. These innovations must be seen and touched to be believed! " The Taste of Design roadshow is a unique series of design events which offer interior design professionals the exclusive chance to view the latest designs from a selection of the world's finest luxury interior brands at some of the country's most beautiful locations. Now in its twenty first year, the 2018 roadshow will bring 27 brands, including 6 new exhibitors, to 4 brand new locations. We have been presented with The Imaginary World Award 2017! 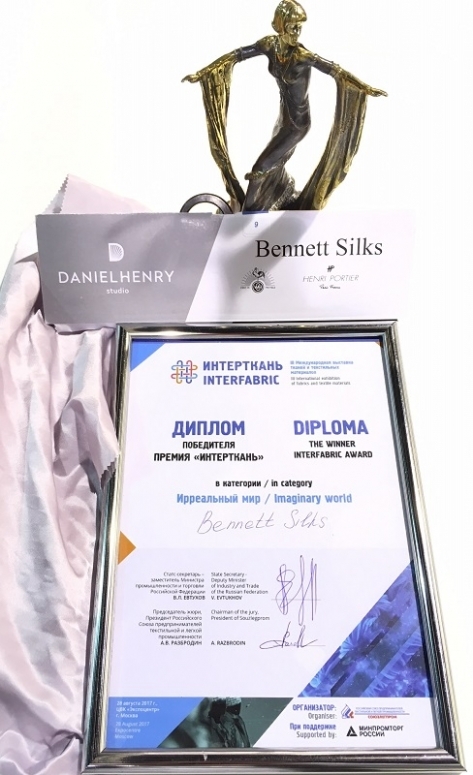 Daniel Henry collaboration article DH6602 transparent print Crepe Satin is now a double award winning fabric, from winning the Imagination Prize at Première Vison Paris and now Imaginary World Award at Interfabric Moscow. The article has been highly sought after as one of the best in developing fabric. 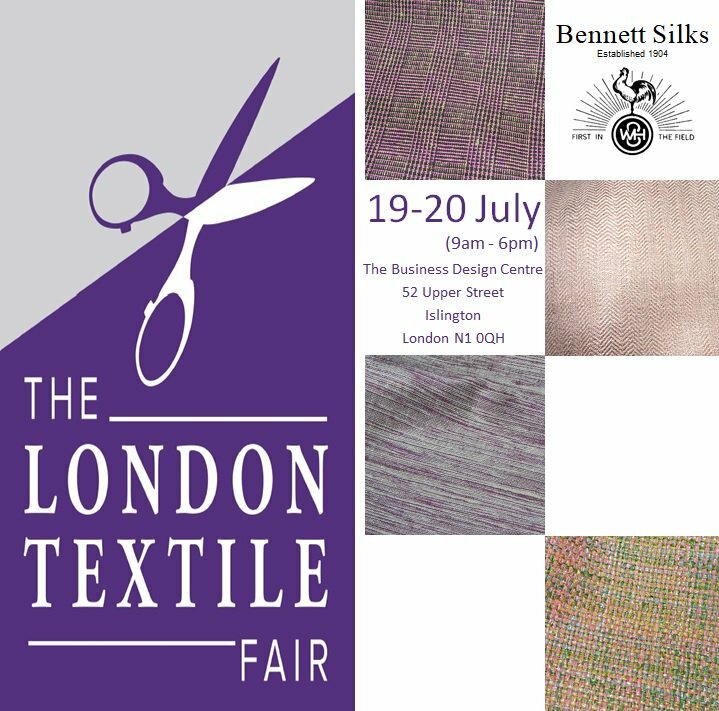 We have worldwide recognition in developing creative concepts and producing luxury fabrics that push the boundaries of textile innovation. Imagination Prize, for the boldest, most original, most amazing fabric in terms of decoration, technique, finishing, innovation and technology. 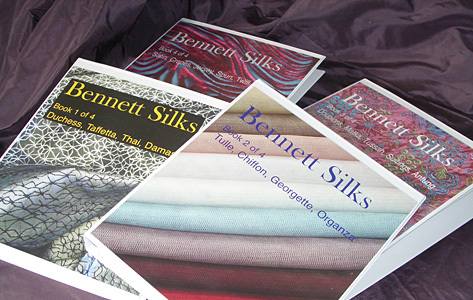 Our Pattern Books and Colour Cards are now available to order and pay for online. courtesy of Lebanese designer Tony Ward. These new binders make it far easier to find what you are looking for. They are available individually or as a full set. A stock service is also available for many articles. 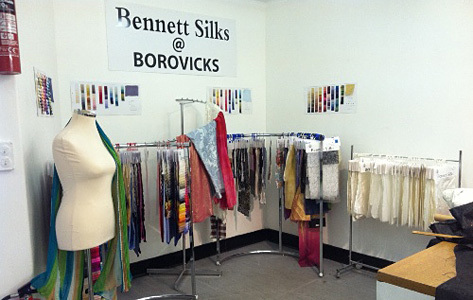 Trade or Retail please feel free to browse our ranges in the Borovick's. We are pleased to announce that our new central London Interior Studio is now officially open. The studio will be available by appointment. Premiere Vison Paris and Imaginary World Award at Interfabric Moscow. The article has been highly sought after as one of the best in developing fabrics.